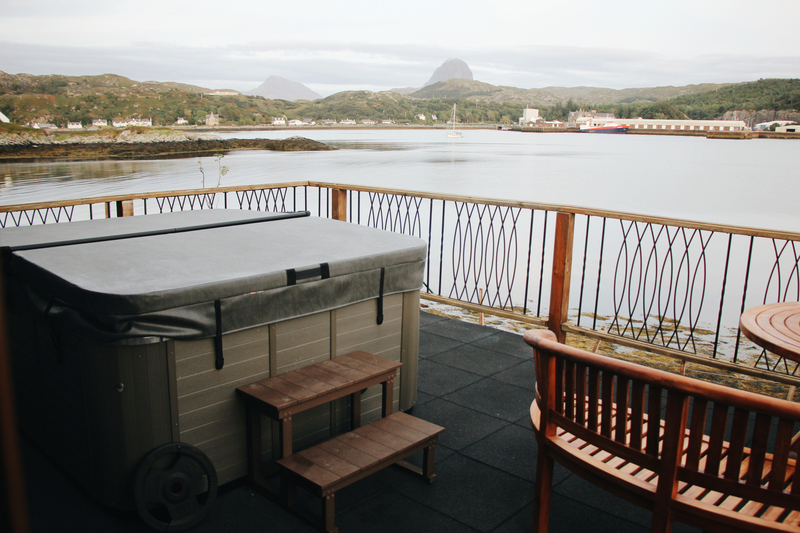 After an incredibly busy summer spending quite a bit of time away from Scotland, we headed off to Mountview Lochinver sat on the shores of Lochinver and surrounded by some of the most impressive landscapes and geology in Scotland. Mountview is located in Baddidarach, Assynt looking out to the impressive peaks of Canisp and Suilven in the distance. There are many different accommodations to choose from all unique in their own character and charm. 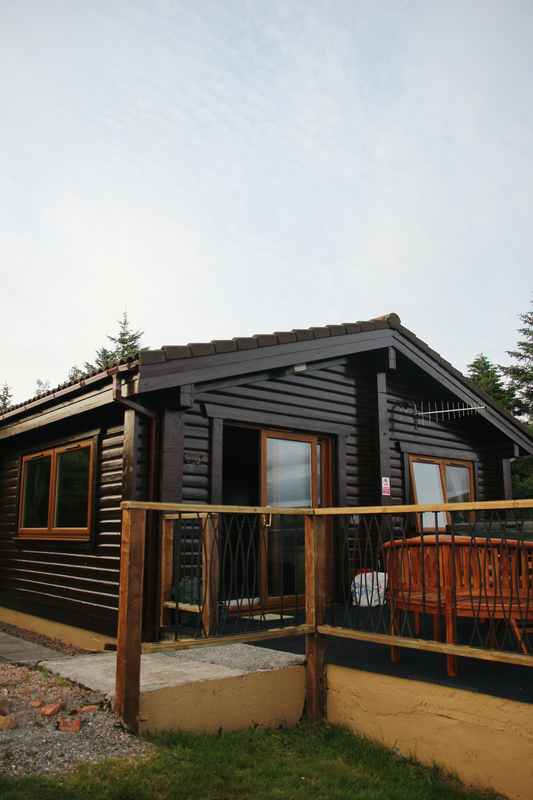 There is a mega pod, two log cabins varying in sizes and a converted croft house. We stayed in Muir-Lan Log Cabin, Muir-lan is Gaelic for high tide and is uniquely sat right on the water's edge. 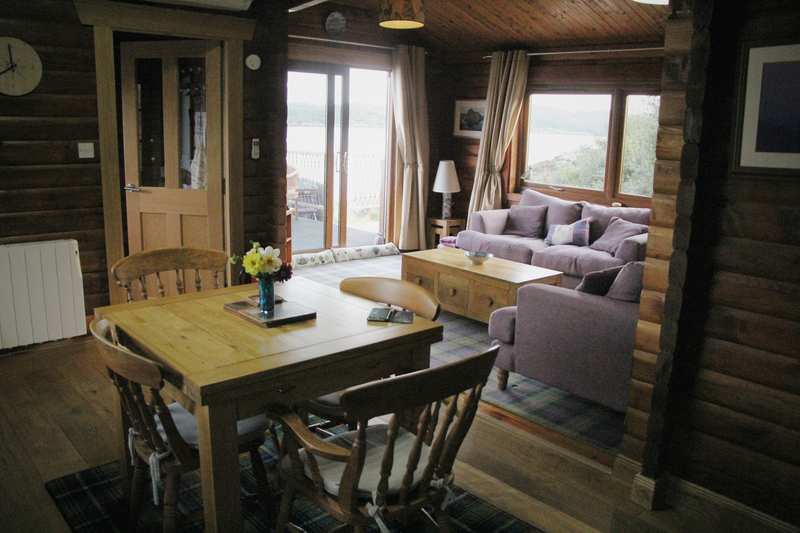 There was one double bedroom, one twin bedded bedroom, a fully fitted kitchen with all modern appliances, a very comfortable sitting room, a luxury bathroom and even a very well placed jacuzzi sat right out on the balcony overlooking the views of the loch: this was an added bonus! 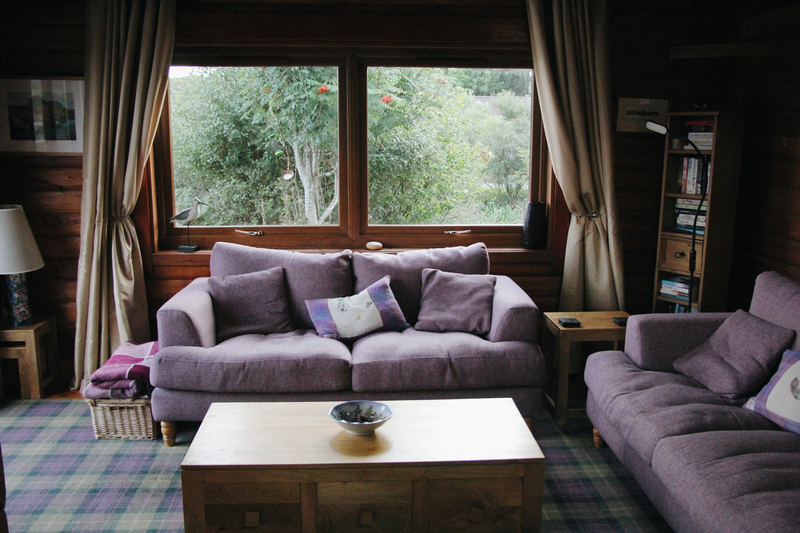 The accommodation is a perfect spot for exploring the direct surroundings and a stone’s throw away from the scenic route around to Achmelvich and further north. This is an area of Scotland that I've not spent enough time in exploring so I was really keen to actually spend a good few days in this location and slow down a bit! On our last day having spent the weekend slowing down, driving around the coastline and relaxing, we awoke to clear blue skies where we were truly able to appreciate the majestic location of this cabin. The towering peaks rose in the distance and it was very obvious why the cabin has been placed where it is. 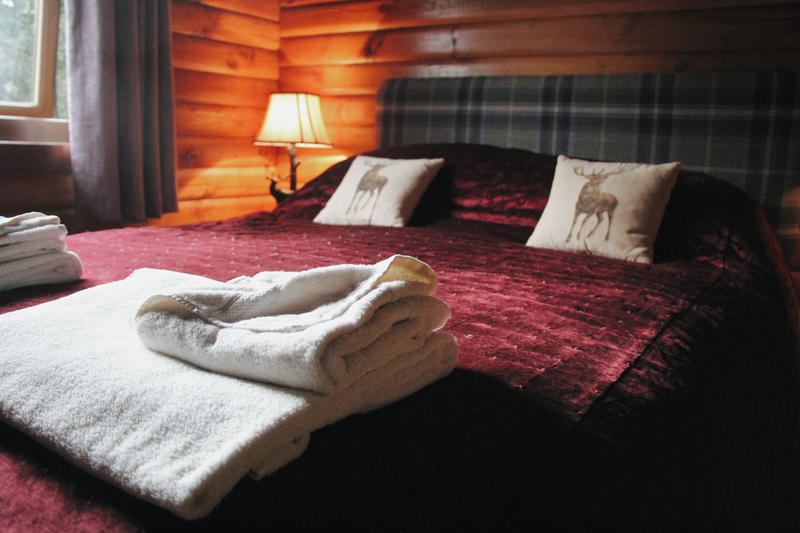 The best part about staying in the Muir-Lan Log Cabin? Walking back home to the cabin after dinner along the shore to slip straight into the jacuzzi to have an evening beneath the stars, an absolute must and an evening that I’ll not be forgetting anytime soon! 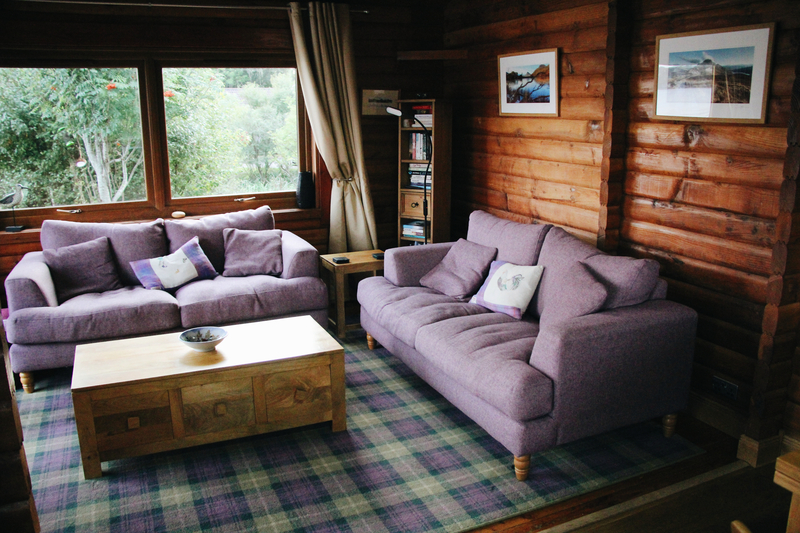 I would highly recommend this place, not only for the ideal location for exploring the surrounding areas of Assynt but also for spotting wildlife and slowing down to appreciate the wonderful details of this thoughtfully built Cabin whilst being immersed in its beauty and homely charm. I’m already looking forward to going back!